Six in ten adults in the U.S. are struggling with a chronic disease according to the Centers for Disease Control and Prevention. These conditions include heart disease, diabetes, cancer, chronic lung conditions, and more. And four in ten adults are suffering from more than one chronic condition. These statistics are alarming for benefit leaders who are trying to manage rising healthcare costs. Self-insured employers need to balance the high cost of health benefits with the desire to provide effective care for these members. One of the strategies they’re using to do this is benefits data analytics. In our sample data, we have 405 members diagnosed with diabetes, 384 of which are taking medication to help treat their condition. We can also see where these unidentified members are located geographically. How does this help an employer control costs? Next, we took a look at several measures around diabetes prescriptions. These interventions help members when they face out-of-pocket costs for their chronic conditions. We’ve all read the horrifying stories about diabetics who can’t afford insulin or other life-saving prescriptions. Employers who manage benefits costs effectively are also helping manage the costs their members will spend on healthcare. 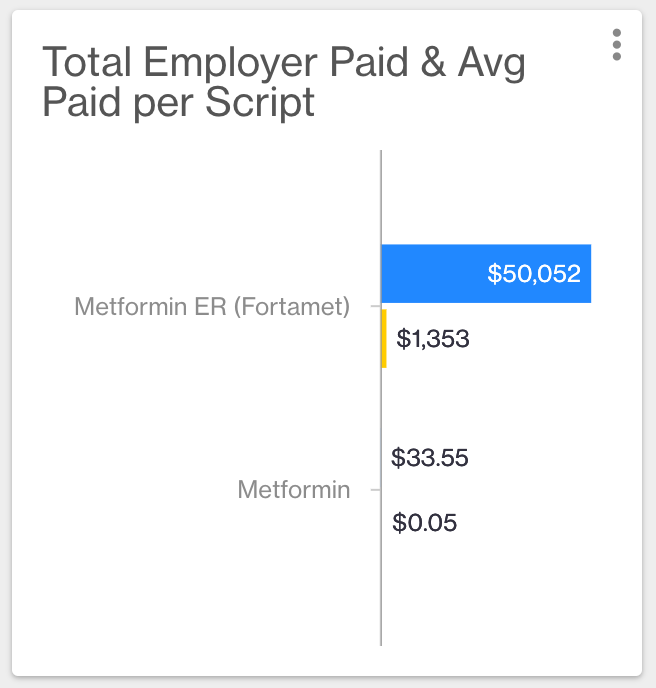 You can clearly see that not only will a formulary adjustment help employers save on their healthcare costs, but it’ll also save members over $1,300 a year when they pick up their prescriptions. We also find that many employers and advisors are connecting different data sources to find answers. This can be a lot of manual work without a great data solution. 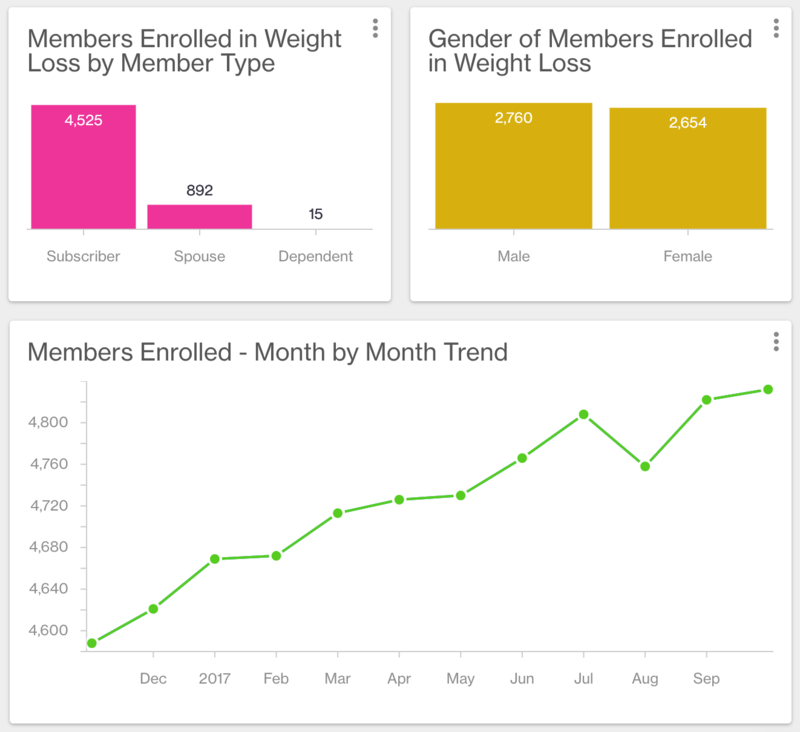 If you’re looking across multiple spreadsheets and thousands of rows, you’re spending time that you could use to help members better engage with their benefits. In the same report as our diabetes analysis, we can measure the success of a weight loss program. We can anonymously track how many members are enrolled and engaged with the program to determine if it’s meeting these members’ needs. Additionally, the Artemis Platform allows users to create “Cohorts” of members, so we can find the overlap between those diagnosed with diabetes and those enrolled in a wellness program, fitness challenge, or chronic condition management program. Some employers are tracking chronic condition data and sharing it with clinicians at their onsite clinics to help them communicate with patients, manage care, and improve outcomes. To learn more, check out our recent case study on this tactic. Want to learn how you can use your data to offer better care for members? Request a personalized demo with our team!